The Jōmon is a culture of people from Japan during the Neolithic era. These people were hunters, as well as gatherers, but they also have a distinct knack for the creation of various containers such as pottery. The Jōmon left behind many an evidence for such a claim and they did well with their craft. Most of their creations that they left behind were miraculously preserved and these ancient artifacts have become the focus of some researchers and other individuals who want to learn more about such an ancient culture. Enter James Koyanagi, a Burlington, Ontario retired architect who just so happens to own a Jōmon vase that is said to date back to 4,000 BC. 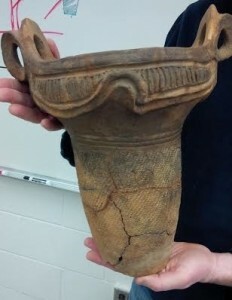 This vase has captured the interest of some scientists and researchers because all this time it remained whole. Still, studying it would pose a risk to its structural integrity because it shouldn’t be handled too much. Thankfully, there is a place in Ontario that can actually make a way to allow Mr. Koyanagi to recreate the entire vase down to its cracks and imperfections. The Mohawk College in Hamilton houses the Additive Manufacturing Resource Center or the AMRC, one of the premier sources of 3D printing techniques, know-how, processing and additive manufacturing that can provide more for education and research. 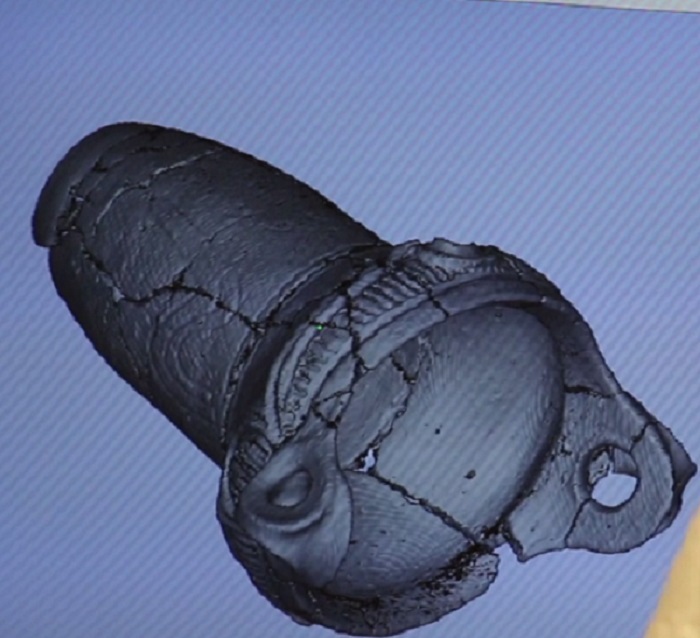 Reid Flock and Robert Gerritsen, both Mohawk professors, decided to utilize the AMRC to faithfully recreate the Jōmon vase down to the very last detail using 3D printing. 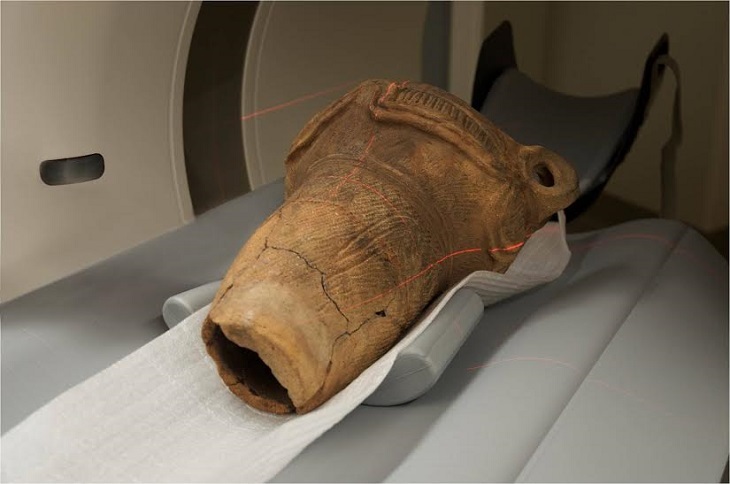 In order to scan the Jōmon vase, the professors reached out to Trillium Health Partners and Siemens Healthcare to be able to use a high-tech CT scanner. Once the scanner was able to map out the exterior and interior dimensions of the ancient artifact, it would be saved into a database, scaled to effectively follow the entire shape of the vase and printed through a 3D printing machine in Nylon 12. They were all amazed to see that the vase was copied in a very profound way. Even the cracks and holes had been shaped accordingly. When they placed two objects together, they really did see that the scanning and printing technology had done their parts very well. For the professors and Mr. Koyanagi, this incredible step would become a very viable way to improve the research and preservation of ancient artifacts. 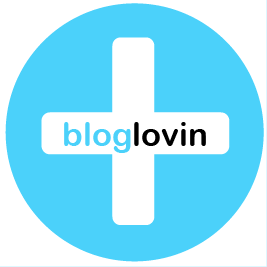 It could also help in the advancement of education, especially when it comes to 3D printing technology. Even history students will be able to enjoy 3D printing and take their studies literally in their own hands because they will be able to hold a spiffing copy of their subject. Siemens was very proud of their participation in the effort. They were happy that their CT scanning machine that was mainly used for the mapping of body parts and for the detection of many kinds of bodily ills was used for a purpose that went beyond the human body. They were able to contribute to historical preservation and conservation. Now that 3D printing is readily available, the Jomon vase is just a start to many more exciting researches.